The research has concluded that farmers can now grow mushrooms on corn cobs. 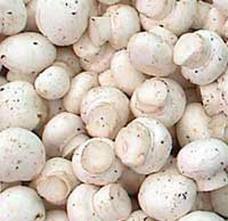 Mushroom growers can earn higher income by using corn cobs as their medium. And the cobs can be used for two cropping seasons before they can be discarded. The Philippine Council for Agriculture, Forestry and Natural Resources Research and Development (PCCARD), the agency monitoring the study said, that farmers can harvests mush room buttons in 15 to 21 days after it has spawned with minimal inputs from farmers. PCCARD also said that mushrooms can now be produced on corn cobs all year round. The advantage is that corn cobs can be stored or piled at your convenience and future use anytime you need them. *** Construct a pen underneath a shaded area like big trees, using bamboo slats or wood at a dimension of 4 feet long, 2 feet wide and from 1.5 to 2 feet high. *** Pile corn cobs closely up to a height of 1.5 or 2 feet. *** Moistened the piled corn cobs with water and soak it for 30 minutes to one hour. *** Dissolve 100 grams urea and 100 grams sugar in water and stir thoroughly. Sprinkle the solution evenly on the corn cobs or substrate. *** Sow thumb size spawns at 2 inches apart and 2 inches deep. *** Place kakawate leaves on top of the substrate to protect the bed from insects. *** Cover the pile with rice straw, then cover it with plastic sacks, used mats, or banana leaves. *** Incubate for 5 to 7 days then open the bed for 10 to 15 minutes and cover again. Incubate until mushroom sprouts appear. *** Harvest 15 to 21 days after planting. Cut the base of the button by using a sharp knife. Pull buttons carefully to avoid damage.